"It's easy to see why the market is wary of the chances of Tiger Roll ([5.70]), Rathvinden ([10.50]) and Vintage Clouds ([18.00]), but the odds are shorter than my ratings suggest they should be..."
It's easy to see why the market is wary of the chances of Tiger Roll ([5.70]), Rathvinden ([10.50]) and Vintage Clouds ([18.00]), but the odds are shorter than my ratings suggest they should be. That's not to say you should get stuck in and lay any of them - after all, you would need to have deep pockets were one of them to win - but it's worth avoiding the trio when looking for your bet. Tiger Roll, as last year's winner, who has been visually impressive in his races since, has obvious claims to repeat his victory on Saturday. I have my doubts, though. He has to carry 9lbs more weight than he did last year; he might have looked impressive at the Cheltenham Festival, but that was in a very different type of race against inferior opposition; that race was only three weeks ago, raising concerns over whether he will have fully recovered; and this year sees him switch to wearing blinkers over the cheekpieces he was sporting when winning last year. Now, that last fact may not seem especially significant (what difference can the cut of his headgear make?) but I wouldn't want to take such short odds over a horse, in such a chaotic race, where his vision was being obscured further. Instead of laying him in the win market, though, I'll be doing so in the place market at [2.96], in the expectation that he can be kept out of the first four. As for Tiger Roll's fellow market leaders, Rathvinden's 2018 win at the Cheltenham Festival over 4 miles was slow - suggesting he's better over shorter distances - and he's had a few sketchy jumping performances, too. Vintage Clouds is similarly unappealing: plotting a graph of his speed ratings against distance run, there is a clear pattern that he gets relatively slower against other horses the further he goes. Laying Vintage Clouds and Rathvinden won't be an option for most punters, but even so, keeping clear of them when putting together your back bets is the wise call. Focus instead on better-value horses like Vieux Lion Rouge ([70.00]), One For Arthur ([40.00]), Pleasant Company ([20.00]), Bless The Wings ([200.00]) and Anibale Fly ([20.00]). A compelling narrative seems to have built up around Sire Du Berlais that goes something like this... He's an improving horse who landed a gamble at the Cheltenham Festival and, whilst he must carry more weight here, his new jockey, a conditional, means some of that weight is taken off again, so if he is the same form on Saturday, he'll be hard to beat. Well, while it's true that Sire Du Berlais has good prospects in the race and can't be ignored, there are a few doubts which mean I'll be a layer in the place market at [1.85]. 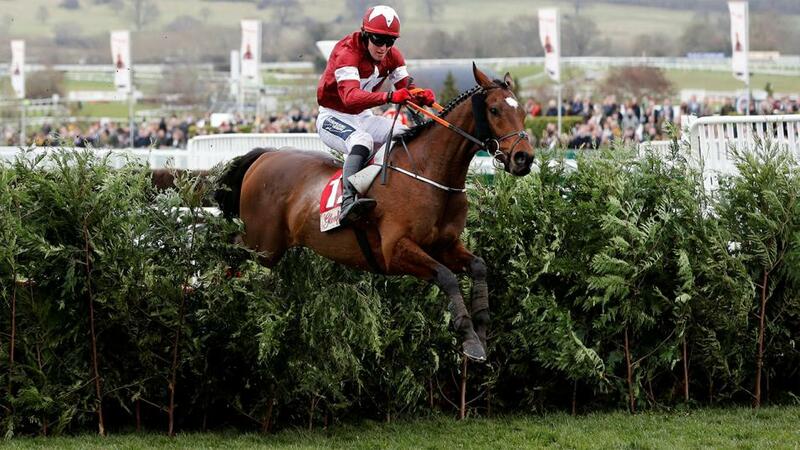 He may have landed the gamble at Cheltenham, but it was a close-run thing. And up in weight, on a different course, with little time for him to recover from his exertions last-time out, I'm more cautious about his chances than some.